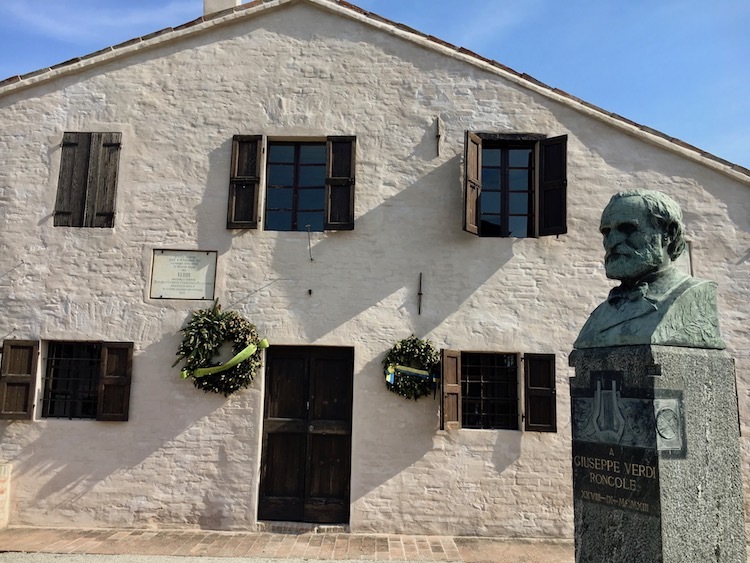 There are priviledge observatories that grant us unexpected places of noble and sumptuous beauty that we would have never thought to discover, especially in a town known around the world for its industrial district dedicated to the production of ceramic tiles. 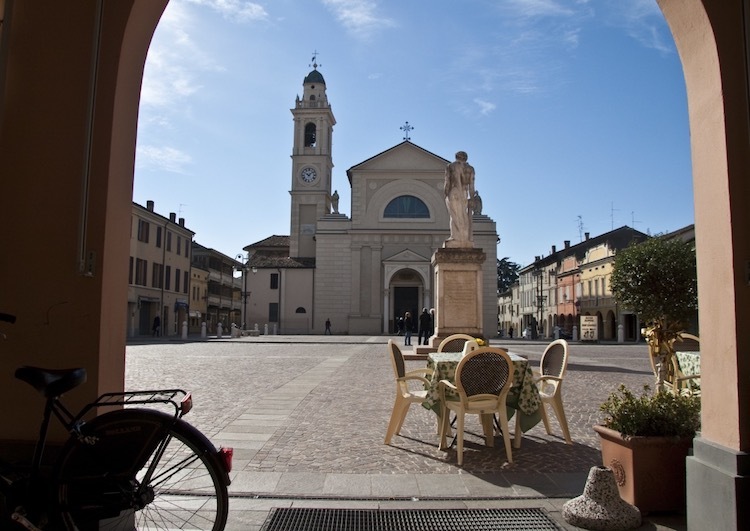 We are in Sassuolo, land that lies in between the plains and the first gentle slopes of the Appennines in Modena. What once was a “big red-roofed town”, with a strong agricultural vocation, today appears to be dotted with big factories with high-sounding names, that, in this strip of the province of Modena, were able to create an important reign built on technologies linked to the ceramic materials and industrial automations. The strong futuristic imprint hasn’t, however, extirpeted the glorious history of this town, that we find weel kept in its historic city center. 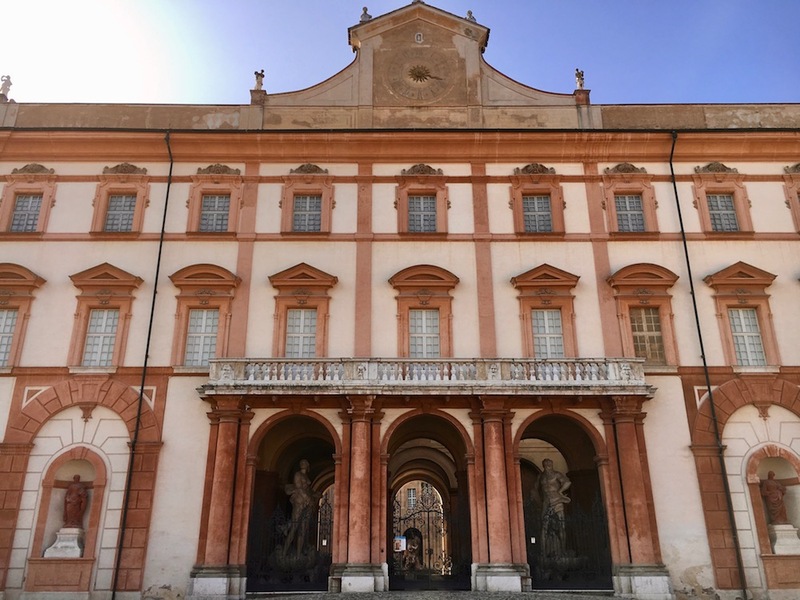 The observatory that we have mentioned before and that makes the locals very proud, is the magnificent Palazzo Ducale that you can see rising in all its grandeur as soon as you arrive in the city center, more accurately in Piazza Martiri corner Via Rocca. A wide road made of pebbles will open in front of you that will take you directly to the noble building. You have to know that what we can see today is the architectural evolution of a place that, in its past, has seen many transformations of use. 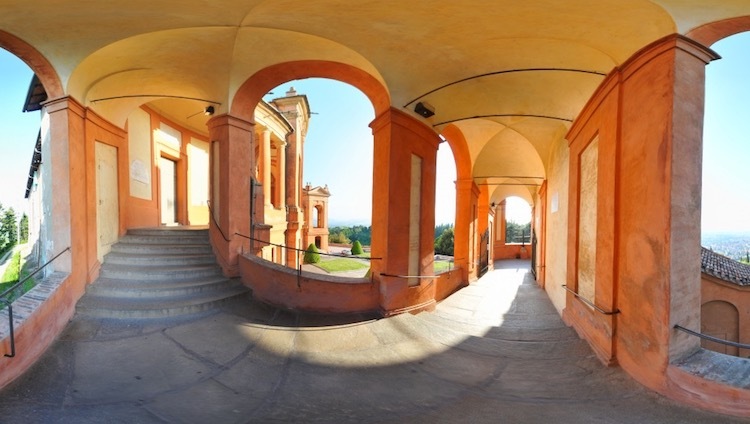 Its current appearance came together through the expressed desire of Duke Francesco I d’Este, that in 1634 instructs architect Bartolomeo Avanzini to transform the ancient family castle into a modern country residence for the court. Once you have climbed the big staircase of the entrance that will lead you to the rooms of the palace, you’ll be welcomed by wall paintings, stucco decorations, and sculptures that will be able to move you to such an extent since you never tought you would find treasures of such artistic beauty. Every corner is decorated with the skills and dedication of the artists of the past that have contributed to make Palazzo Ducale a palace that recalls enviroments with theatrical character. 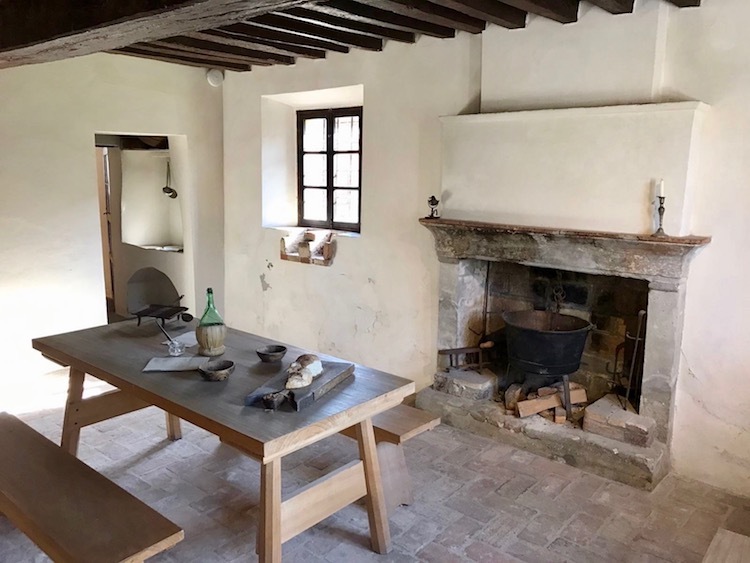 You will see large rooms where your gaze will be captured by the trompe d’oeil of the doors and windows, or faux terraces and balustrades filled with fruit baskets and colorful flowers wreaths. You will find the Italian artistic knowledge of Pier Francesco and Carlo Cittadini edged to many more extraordinary creations by Jean Boulanger. The Bolognese frescoes Angelo Michele Colonna and Agostino Mitelli are also present. Given both the historical and cultural wealth of the palace, you can either decide to plan your visit with an expert guide or you can let yourself be carried away by uncommon feelings that will rise thanks to this majestic building. A delight that remained hidden for a certain period of time, little known even to us locals. Today it lives and dialogues to the contemporary world and the exibitions organized in the palace through the year are a testament to this. 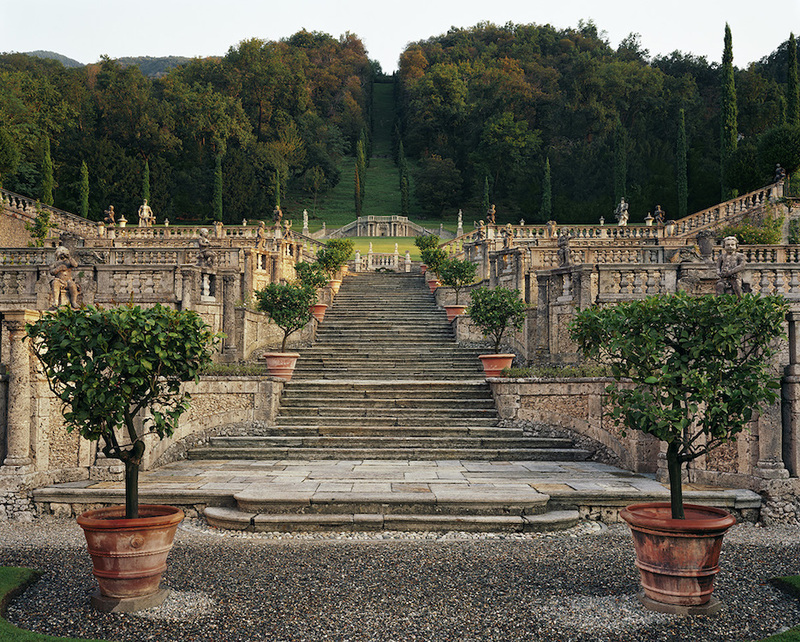 Until September 17 the Palazzo Ducale will be featuring eight large-scale photos by the American artist Lawrence Beck dedicated to Italian gardens. There is something simply indescribable about foliage. 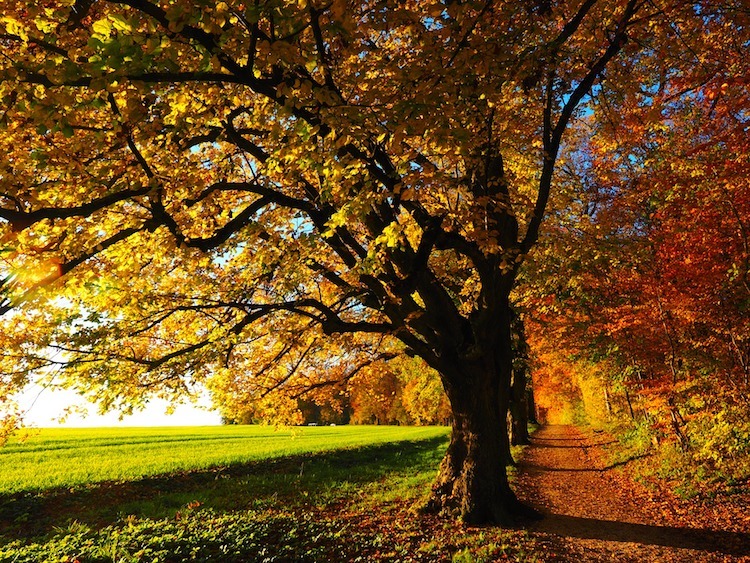 My beloved Autumn is the season that perfectly express the nature and its finest spectacle difficult to describe for its beauty and colored breathtaking landscape. Fall is the season that I like mostly. Downtown you can see wet roads and the first foggy night, when the shapes of the building around are not so clear. Fall has multiple faces. In the countryside you can experience even the smell of it. It’s the time to gather at the fireplace with a good book and a cup of tea on a Sunday afternoon. 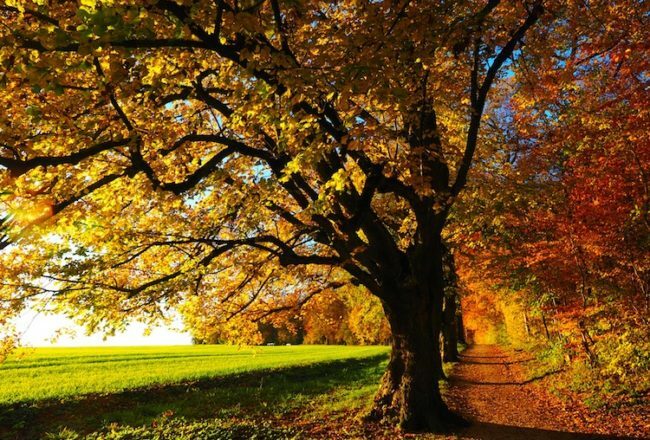 Actuallly, there are some places in the city where you can feel the beauty of autumn as if you are in the countryside. In Modena there is a park, just a few km from the city center that is charaterised by large fields, trees of fruits and awesome vineyards. It is the place you don’t expect to find in the heart of a city. It is a place that is quite uncommon but you should visit, just to take a walk, maybe in the early afternoon when there is still a bit of sun and you can admire all the nuances of leaves. 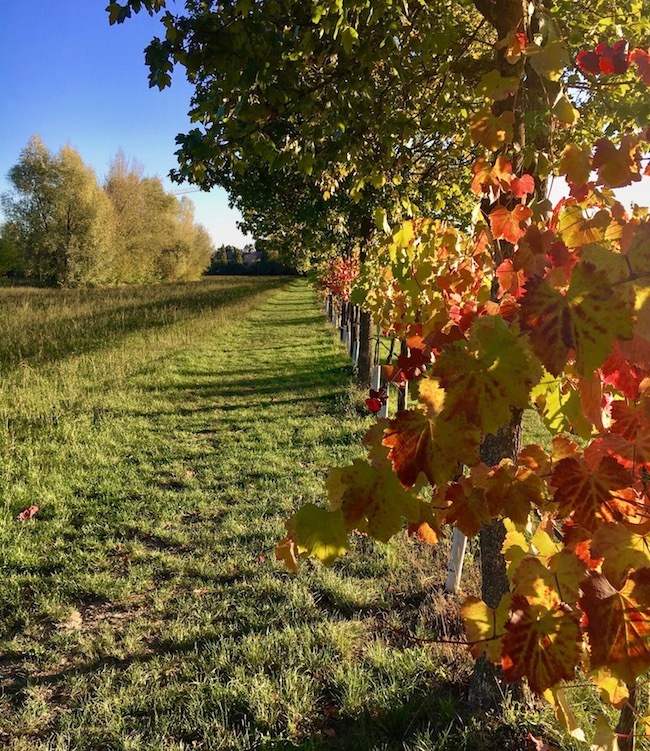 The vineyard is its main feature and they make it a source of nuances from red to brown and orange that you don’t have to miss such a beautiful in place in this time of the year. 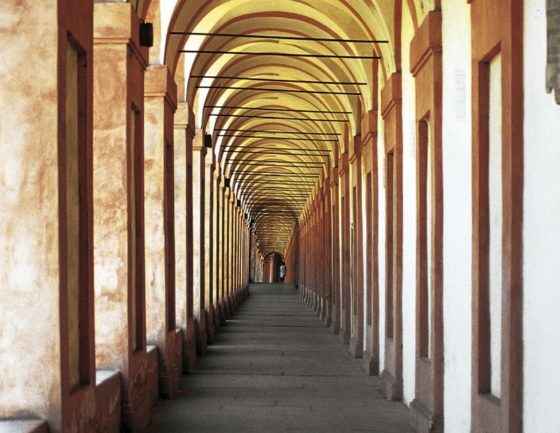 This place is a sort of secret place not only for the tourists but even for the inhabitants of Modena. I like this park (Parco della Resistenza). 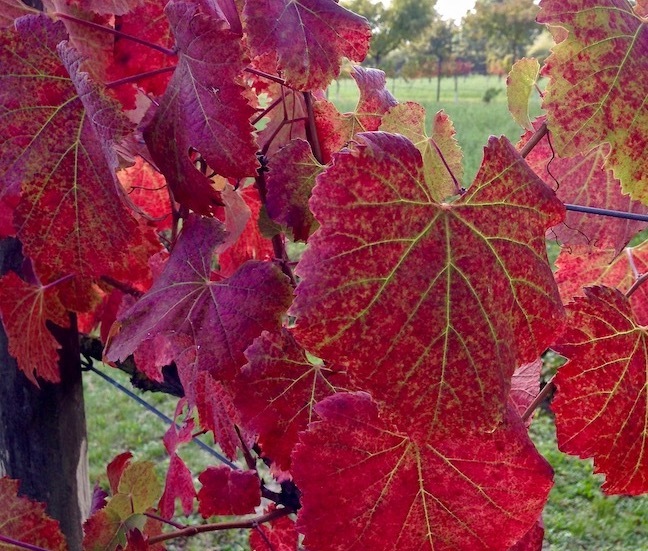 It is a special place and it represents a slice of Modena in which you can enjoy and live intensely seasonal changes. 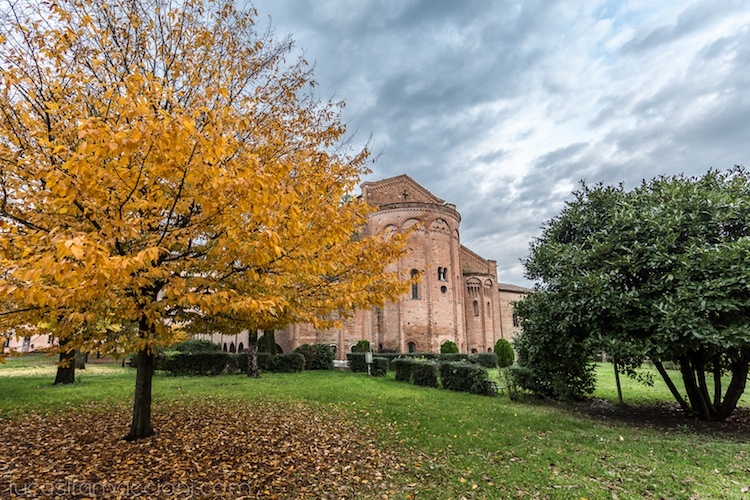 In Emilia, there are two recurring aspects in all of its cities, from Piacenza to Ferrara. The bicycle and the arcades. We, Emilians, love cycling. We use it to go to school as kids, to go to work as adults, and to hang out with friends. However, this story is not intended to be a story on cycling in Emilia, but on the presence of His Majesty: the porch. An architectural element that we can find in the historic centers of the cities. It is such a familiar presence to us and part of the landscape, just like the sun and the moon shining in the sky. There is a city, in particular, that encompasses an endless variety of porches as well as having the longest one in the world. The city is Bologna, our regional capital, birthplace of the first university of the western world, and where good food is king. Walking through its streets is like visiting an open-air museum. The porches are an element that make the city unique, that even the famous French writer Stendhal fell in love with Bologna and its arcades so deeply that he wrote in one of his novels: “Frequently, at two in the morning, while returning to my accommodation in Bologna, walking through these long arcades, while the soul is exalted by those beautiful eyes I had just seen, and passing in front of those buildings of which, with its large shadows, the moon drew the masses, I happened to stop, overwhelmed with happiness, and tell myself: “How beautiful!”. 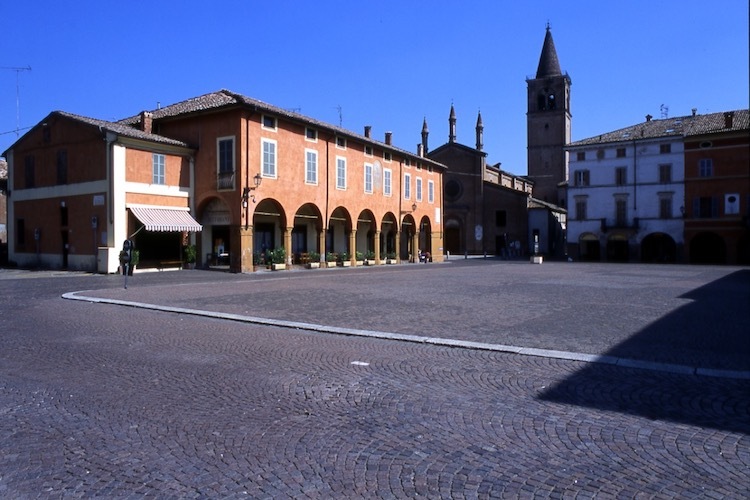 There is a place, right in the heart of the Po Valley, far away from the traditional tourist routes, a small town about ten km from Modena, which holds great treasures; its name is Nonantola. An unusual journey that expresses the beauty of a little known land, able to portray the ancient architecture and transmit sets of emotions with its historic buildings, its abbey, its museum and its ancient villas. Nonantola was established as a Roman colony and it jealously still preserves its signs. A destination that owes its fame to the Middle Ages, and that’s deeply linked to the Benedictine monastery of St. Sylvester, founded in 752 A.D. from the Lombard Anselm. The air is chilly, we are in the middle of autumn and the colorful foliage of the trees joins us in our visit. A carpet of brightly colored leaves appears as an elegant path that leads the way to the beautiful treasures of the place. 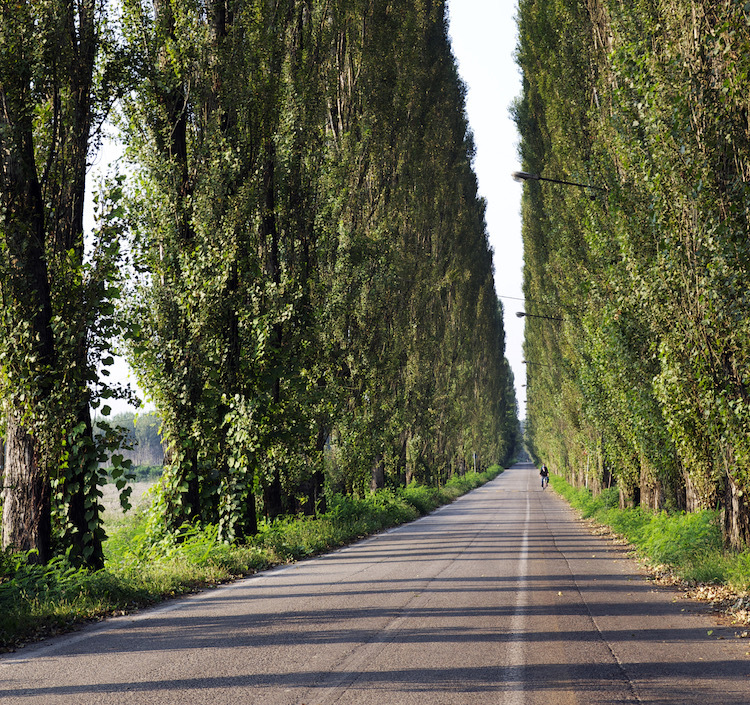 A light scent of wet grass and the distinctive flat landscape of the Po Valley, welcome us with a veil of melancholy. In order to understand the history of this town, we have to enter into the streets of the center to discover its squares and its palaces. The old town looks like a painting, with its Clock Tower, with its Piazza del Pozzo enclosed on three of its sides by buildings that, since the four hundred, housed the room in which the Council of the City used to meet. 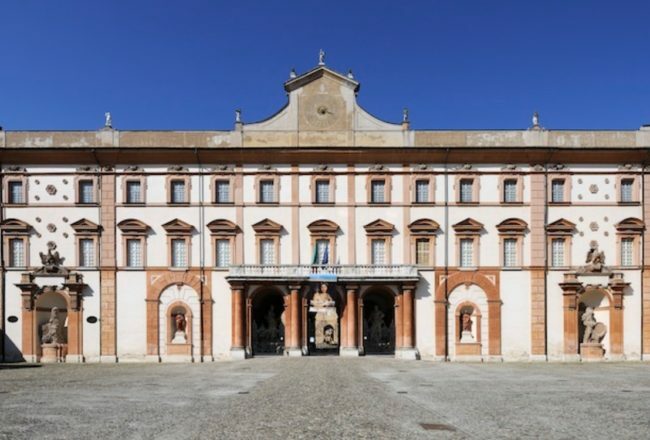 Our eyes are drawn to a beautiful building showing typical eighteenth and nineteenth century lines: The Residence of the New Agrarian Partecipanza of Nonantola, the town hall until 1898. 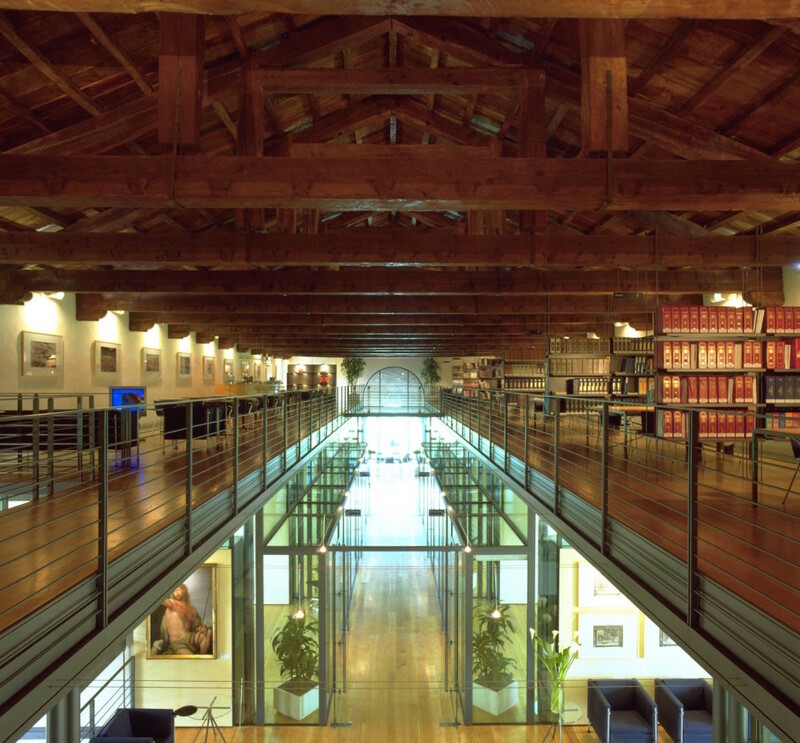 Inside the building it is preserved the important archive of the Agrarian Partecipanza of Nonantola, while a permanent exhibition tells the tales of this ages-old institution and its evolution over the centuries. We go along the main street of the old town, Via Roma, where we can observe some beautifully crafted buildings, including Palazzo Previdi. 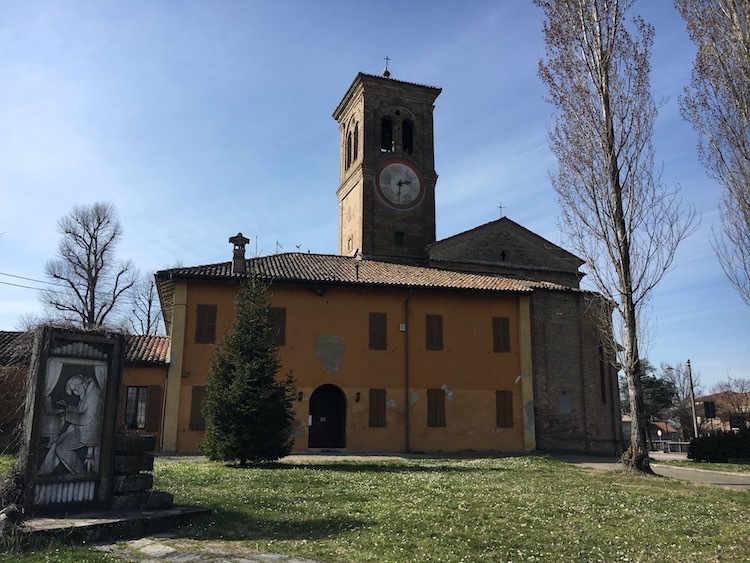 We are in the heart of the village, in the Caduti Partigiani square, where the complex of the ancient monastery stands out as beautiful example of Italian monastic centers. 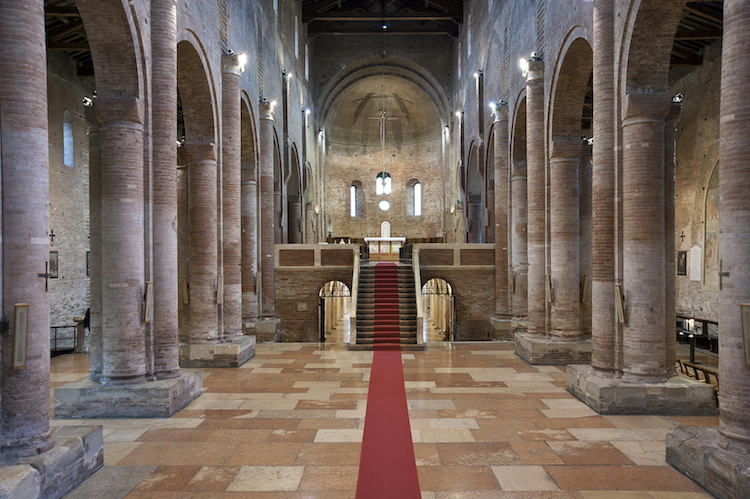 The central element is the Abbey of San Silvestro, one of the most significant examples of Romanesque art in northern Italy, together with the Cathedral of Modena. A stately structure divided into three naves which enchants with its majesty. In the past, the abbey church represented the heart of religious and cultural center of medieval Europe. That’s right, in a small village located in the Po Valley, you can witness 1300 years of history and art, a heritage symbol of gone by eras. Since its creation until the birth of Commons, the Abbey has delighted in the favor of emperors, especially during the reign of Charlemagne and the Carolingians. On the outside, the façade is dominated by the prothyrum, supported by two columns bearing-lions, and it frames the beautiful Wiligelmo portal. Once through the portal we are overwhelmed by that sense of suspension, of vastness that the abbey has the power to release. We are impressed by the inside, manifesting itself solemn and austere in its simplicity, punctuated by massive pillars that converge towards the main altar (XVI century) dedicated to San Silvestro. Stop, think and admire – this is how this ancient abbey continues to guide and encourage us. Its splendor lies in its enormous dimensions, in its colorless serenity and in its austerity. Guided by our astonishment, we arrive to the crypt, where his 64 Ancient stone columns seem to smooth the intensity of the passing of the centuries. The lights and shadows change as if they were alive, and here the voice of the abbey is powerful and regal. There is not a single centimeter of these walls that doesn’t show sign of his glory days. Another treasure that awaits for us is represented by the Museum of the Abbey. It is located in the Abbatial palace, the building of the ancient monastery. A part of this Museum preserves some beautiful works of art that come from the churches of the Archdiocese of Modena-Nonan- tola. The other part shows the “Abbey Treasure”. The Museum shows famous parchments: the principal two are a donation of Mathilda of Canossa, dated 1108, with her characteristic signum, and the parchment of Charlemagne of the year 798, bearing the well-known monogram of the founder of the Holy Roman Empire. Our journey has come to an end. Every moment spent in this village of the plains was a valuable experience. An infinite microcosm that we captured in our minds, like a photographic lens, where the simplicity of daily life meets with the magnificence of the art and history of Italy. It’s a spring morning, one of those days when the air is scented with freshly cut grass and the trees are starting to blossom, close to marking the end of winter and the arrival of springtime. Our tale takes us along the atmospheric streets of the historic centre of Sassuolo, a small city on the provincial border between Modena and Reggio Emilia, which has gained acclaim worldwide thanks to its famous industrial district for the production of ceramic tiles. 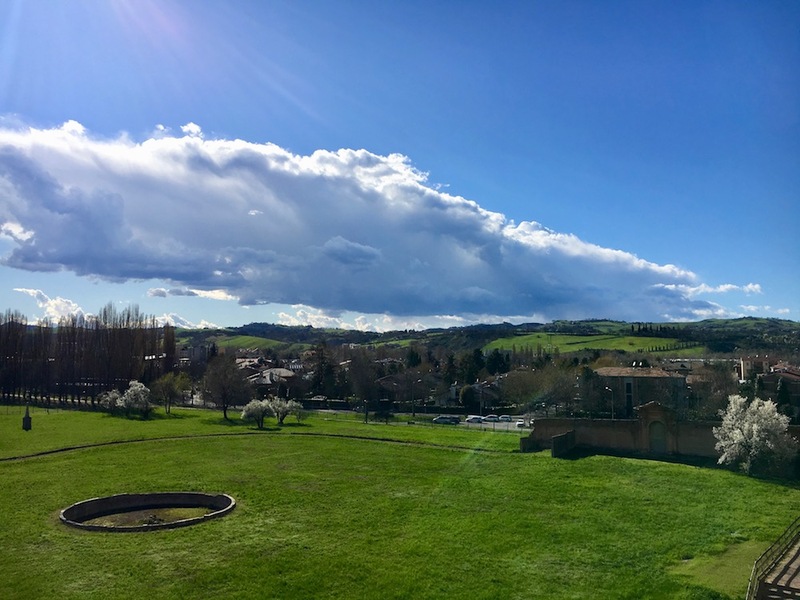 However Sassuolo not only boasts a manufacturing tradition, now synonymous with innovation and cutting edge technology, but is also host to a remarkable heritage of historical buildings, gardens and residences dating back to past eras. Despite the inexorable passing of time, these locations remain standing before us, testimony to a past splendour that today have been restored thanks to the love of its residents, such as the Cavallerizza Ducale, regaling us with its enchanting style right in the centre of the city, just a few metres from the Palazzo Ducale. This is an extraordinary building, amazing visitors with its charm and expertly renovated architecture, where the spirit of the past lives in harmony with the modern surroundings. Here we enter the building, to discover its innermost secrets. A journey that takes us back to the times of the Estense Duchy when the noble family governed in this area of Emilia. 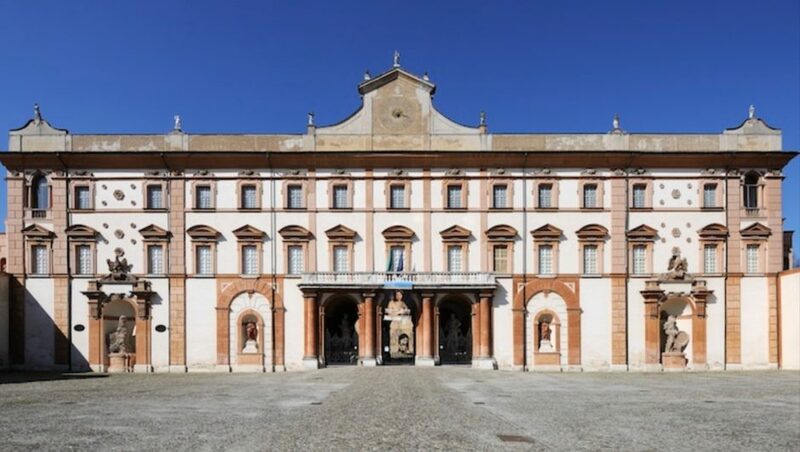 In fact the Cavellerizza Ducale was built between 1781 and 1788 on commission by Duke Ercole Rinaldo III to remedy the lack of stables and lodgings for the “Dragoni Ducali” (armed corps) that followed the Estense Court when moving to the palace in Sassuolo. This building was part of the “Delizia Estense” (Estense Delight) together with the Palazzo Ducale of Sassuolo and the surrounding buildings, used as the summer residence. 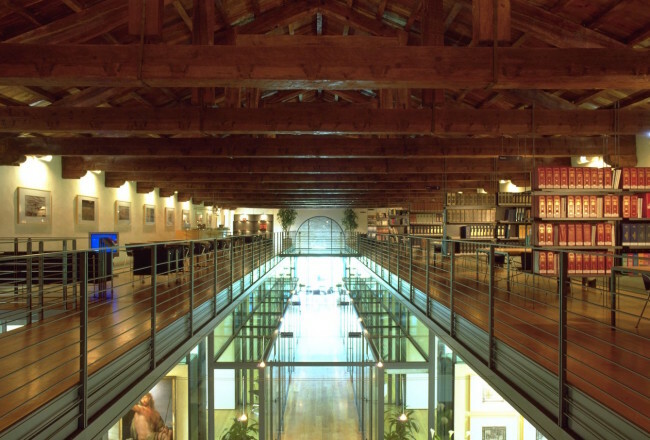 From an architectural point of view, the Cavallerizza features an imposing wooden roof with two slopes, supported by 23 trusses, while the northern façade displays graffiti painted walls as a backdrop to the view of the Peschiera from the Palazzo Ducale. An extraordinary and impressive work with a unique identity. It was once the “Teatro delle fontane” (Theatre of Fountains), where visitors could admire marvellous water features for the pleasure of the audience, who sat on benches clad in tufa stone and shells, while the scenic background provided a view of the “Estense mountains”, from which sprung fountains below the peak, still seen today, of the “Aquila Estense”. A noble and highly valued symbol that identifies the coat of arms of the Duchy. Sadly the history of this building has not always been so glorious, having been left in serious neglect over the years. New life has now been given to the Cavallerizza, which as well as being used for community and cultural initiatives, has also become the elegant and original headquarters of Studio Pincelli & Associati, which together with Mr. Stefani, Chairman of the System Group, a leading industrial automation company, were the star actors in this ambitious restoration project, started in 1991 and completed in 1998. 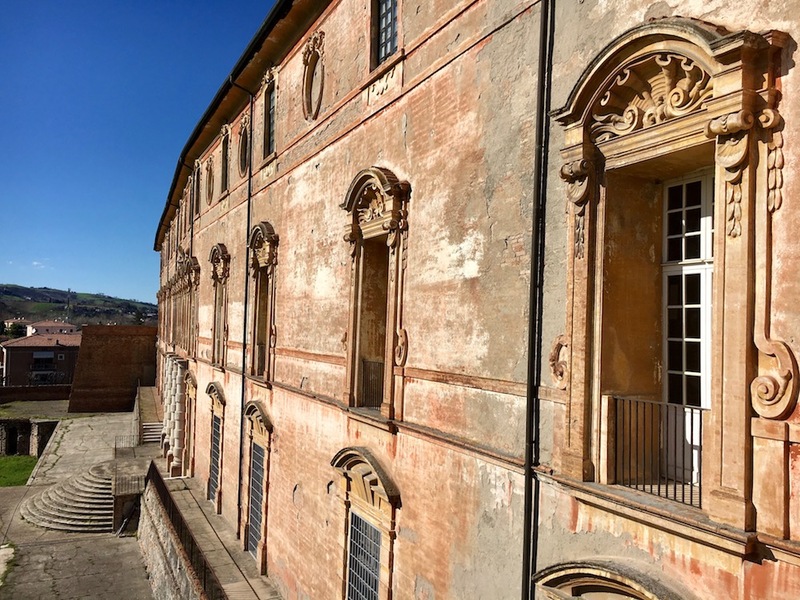 Behind this restoration work hides a story of passion and love for the city of Sassuolo. A gesture of respect and sign of deep attachment to this area, which occupies an important place in the hearts of its benefactors, who through the restoration of the estate, aimed at restoring dignity and magnificence to one of the most fascinating buildings of the city. 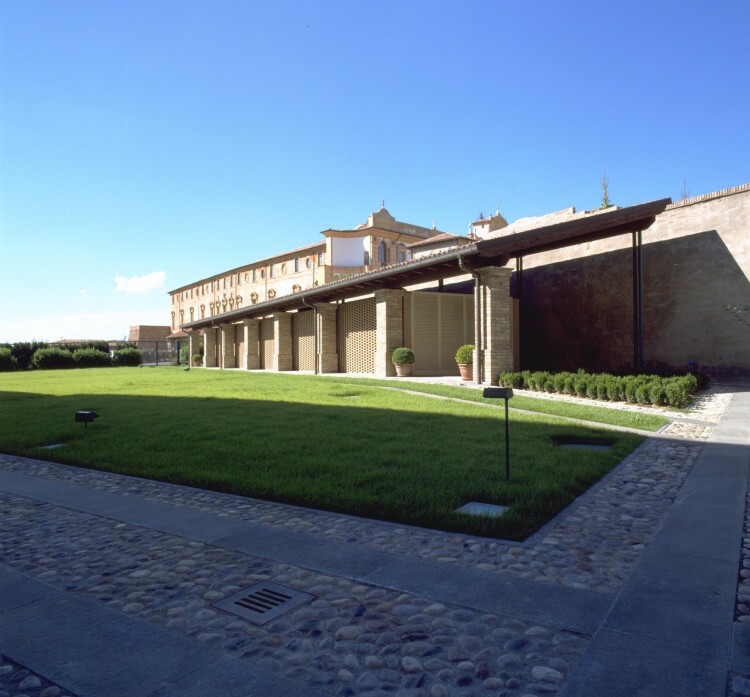 The architectural restoration of the Cavallerizza Ducale hides another important aspect: the desire not only to restore ancient walls and bricks for a question of appearance, but also the wish to restore the social value of the building, to become a reference point for all those living in Sassuolo. The functionality regained through this work make the building an integral part of the city scene, where people can meet and socialise. We would love this journey never to end. A little like when we turn the last page of a great book that has thrilled us and accompanied us in this adventure, in the same way, room after room, we reach the end of our visit. 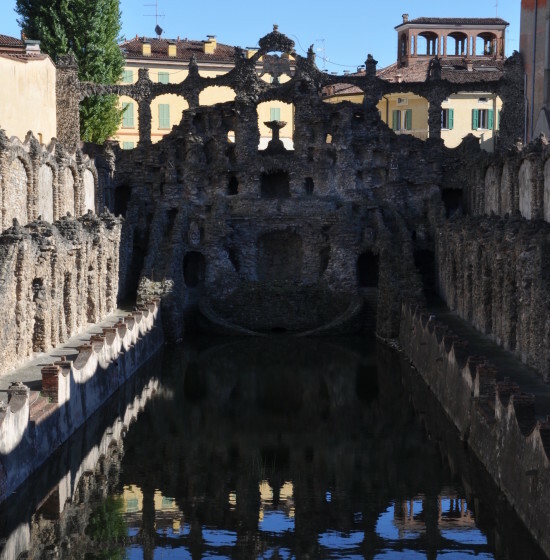 We stop in front of the Peschiera, wishing to imprint this extraordinary work of art on our minds, set against the open sky that surrounds us with its history, nature and culture. We carefully observe, in a desire to relive the era from the distant past and retrieve the signs of the past to blend with the present. 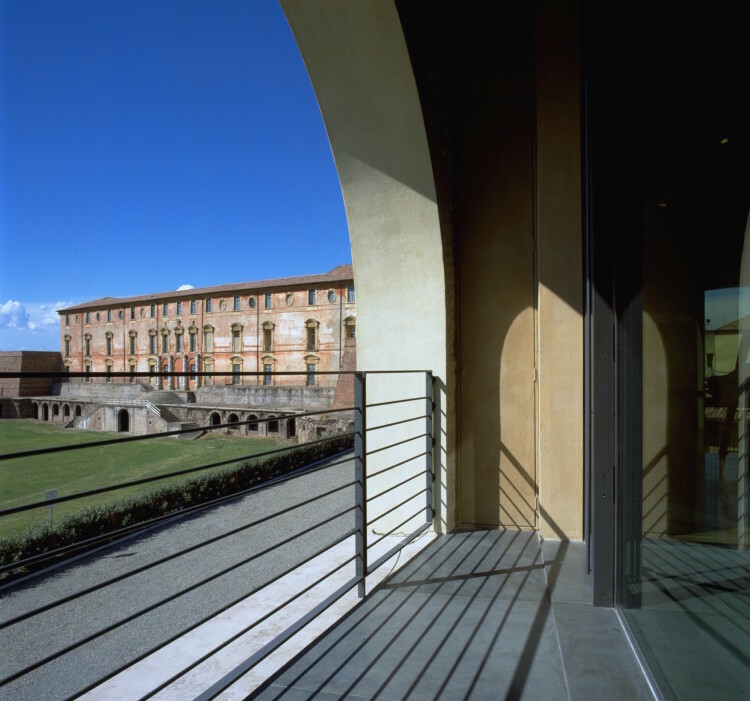 The Cavallerizza Ducale is an example emblematic of architectural restoration, embracing both the contemporary and antique. 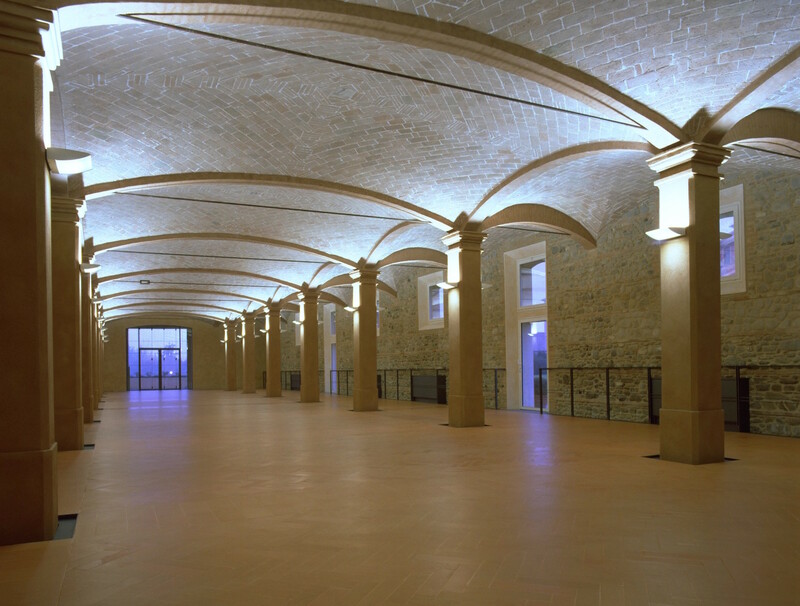 A sublime art form that expresses the culture of its people and its new identity as a living and functional venue. The sun shines high in the sky, and it is now lunch time, where the narrow streets of the centre, previously enlivened by people coming and going, are now hushed in tranquillity. The time has come to make our way home, taking with us memories of an experience strolling through history, but with no time machine; here the memories simply transport us into the past, while dreams project us into the future. Memories of childhood transform magically into inspirational muse, in a world to describe through the fifth sense: smell. 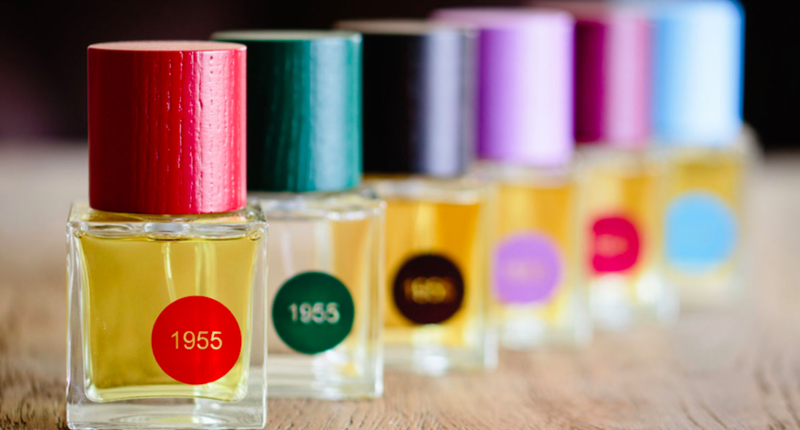 This is how the story of the fragrances of Terra Moderna 1955 by Daniele Cappello Riguzzi began. It’s a story that starts from a long time ago and which finds its origins in Emilia, in the hills at the gates of Modena, and more precisely Castelvetro, the small village composed of a handful of houses which stand among the Lambrusco hills. The fragrances of Terra Moderna recount through their fragrances moments that belong to the collective imagination, memories linked to a specific territory such as Rosso Zocca, Azzurro Adriatico, or the tradition associated with the Lambrusco wine-making process such as Vinaccia Lambrusco. Lived experience transforms and becomes a fragrance that its creator has sought to encapsulate in precious perfumes. The collection is, in fact, composed of a limited number of reproductions and is in continuous evolution. The emotions that are triggered by the sight of a landscape, the feelings that come to mind smelling a certain fragrance are a living and infinite identity expressed in the great passion and art of perfumery. The simplicity of wearing perfumes so rich in meaning implies a considerable elegance, and it is for this reason that Daniele distributes his perfumes through a careful selection of sales outlets, which are able to recount the magic behind this business project which has won the enthusiasm and curiosity of an international public. It’s a passion pursued with tenacity and which has required life choices and changes on the part of its creator who, after having worked for several years as a professional in internationally famous companies, at the age of 50 decided to make a clean break and change direction, following his instinct and distinctive original spirit. 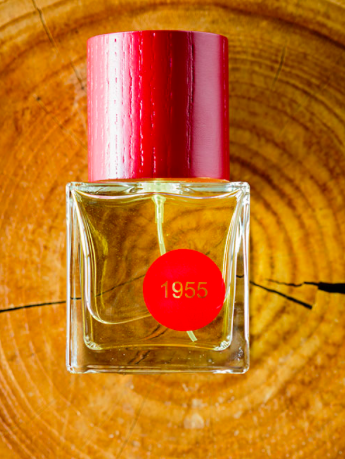 TerraModerna was born in Emilia, marking an indissoluble link between its founder and the places of his childhood, where the most humble of fragrances can trigger memories tied to the territory. 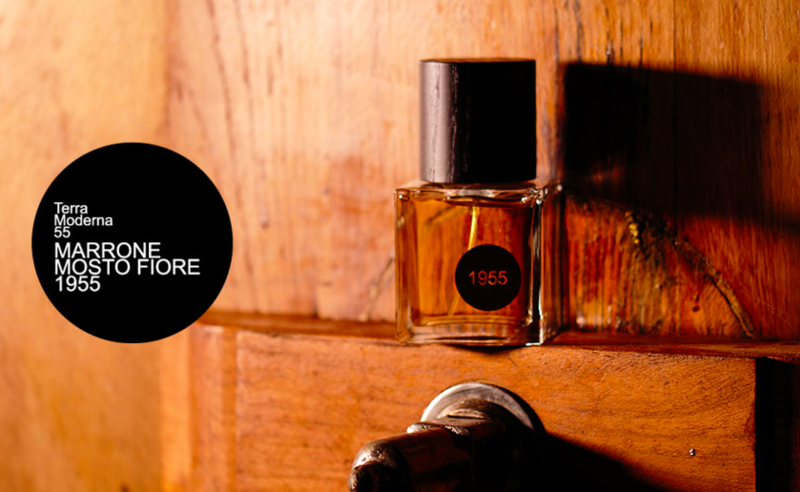 Daniele captures those emotions in his perfumes and recounts his story through their alchemy. Thus wrote Charles Dickens in ‘A Christmas Carol’, an extraordinary work that has inspired us to dream, charming and enchanting us with its dialogue and characters. A masterpiece of literature that we re-read or watch once again every year before Christmas, as if wanting to stop time and go back to our childhoods to relive the excitement and sensations of when we were little. This wondrous story accompanies us in this new chapter, dedicated to the Christmas markets of Via Emilia, where past, present and future fill the streets of old city centres and small villages in the hinterland. Our story begins in the upper part of Emilia, in the area of Piacenza, marked by the flow of the big river and where hilly landscapes alternate with vast plains. A few kilometres from the Emilian city we find a small village with immense touristic appeal, the village of Grazzano Visconti. A place that fills young and old alike with wonder. It is a reconstruction of a medieval town that has brought the traditions of its past into the twenty-first century. 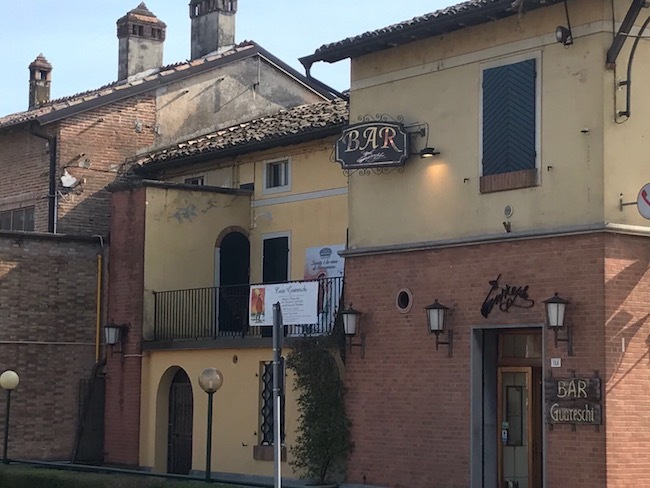 It is not by chance that it is known as an ‘unreal village that truly exists’ and is the strongest tourist draw in the province of Piacenza. In this village, people still work word and iron and produce pottery according to the teachings of unwritten culture and learning, passed down, or better still, whispered from father to son. 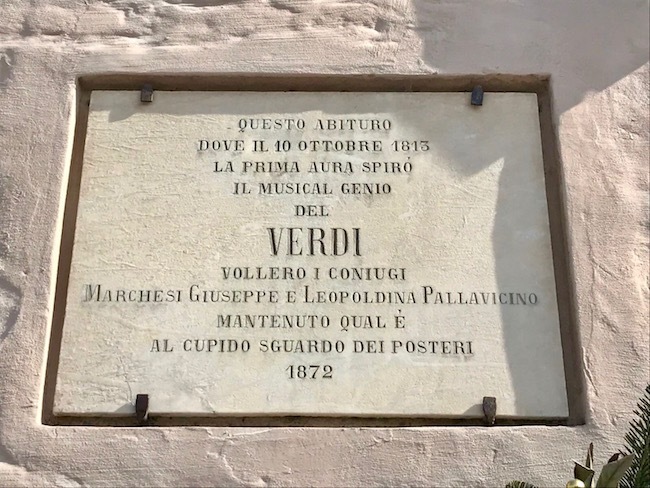 Here, the love for creative artisanship still reigns supreme, while the village is protected from the ravages of time, with style and passion, by the current owners, the descendants of Duke Giuseppe Visconti of Modrone. In this little corner of Emilia, one finds a Christmas market that attracts visitors from all over Italy and beyond. The stands present the artisanship and know-how of creatives and artists who proudly display their wares, created to celebrate Christmas. The atmosphere is surreal and the village is wrapped up in the scents of Christmas and winter. Grazzano Visconti in all its beauty. A picturesque setting enriched by the musical notes of Christmas songs played throughout the village, which is surrounded by a park filled with a vast variety of vegetation, offering a stunning natural spectacle at the changing of the seasons. 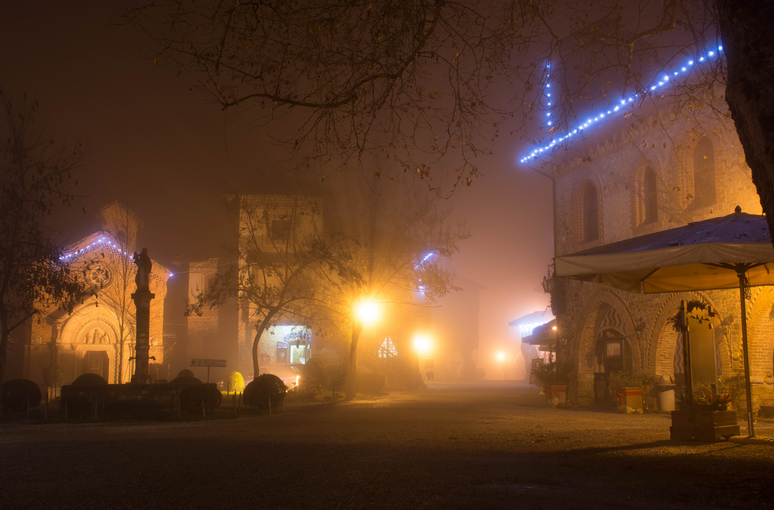 The market of Grazzano Visconti is open from 6 December to 6 January. Games, manger scenes and Christmas decorations are the heart of the event, which is now in its second year. Admission is free! Now we will head down the main road leading to Fidenza, in the heart of the Terre Verdiane. 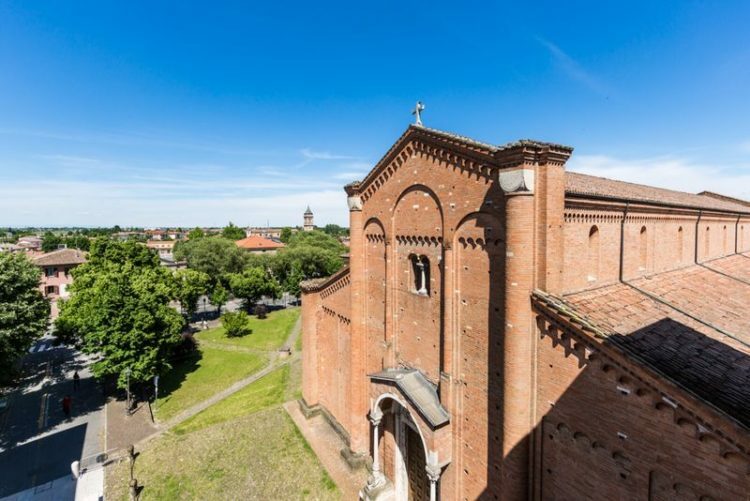 This town is located halfway between Piacenza and Parma, and is proudly home to a masterpiece of Romanesque-Po architecture, the cathedral, which dates to the late 11th/early 12th century and is considered a pilgrim temple par excellence. Every year, the roads of the town’s old centre host a Christmas market featuring the arts and trades, where artisanship reigns. 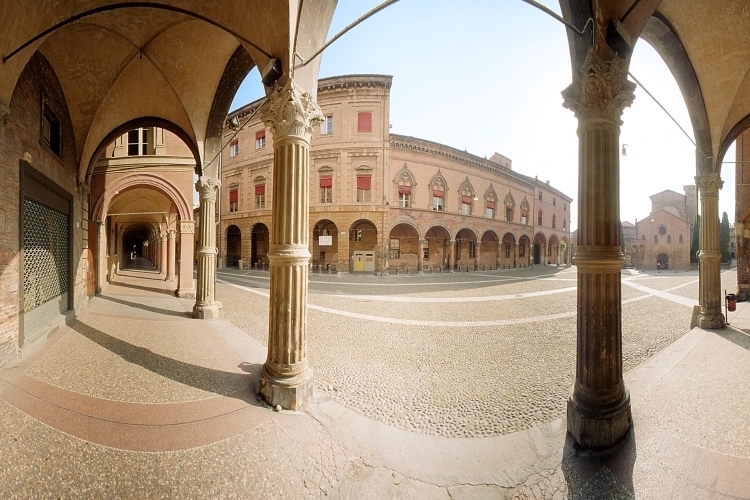 And from Fidenza, we head to the city of music and good food par excellence: Parma. Its elegance, historical monuments and sumptuous palazzos welcome us to the city centre and open up the path to workshops from times gone by, alternating with stunning, fine boutiques. 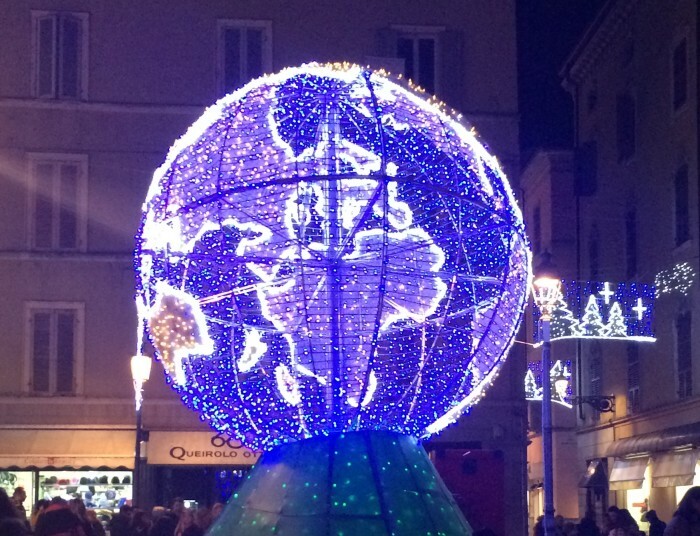 Parma is a dynamic, welcoming city, and its Christmas market in Piazza Ghiaia is a tradition not to be missed! A symbolic site in the city, in the past as much as in the present, the heart of commerce and exchange, it was recently modernised with major urban renewal work resulting in the new architecture in Piazza Ghiaia between 2010 and 2012. At the end November and for the month of December, the site hosts more than sixty exhibitors, offering their masterpieces of artistic craftsmanship, objects and antique furniture and tasty seasonal delights, like roasted chestnuts, aromatic brittles and traditional treats, all to be enjoyed while wandering among the colourful, festively decorated stands. Admission to the event is free and it is open from 9 am to 7 pm (6, 7, 8 and 13 December). For the feast of Saint Lucy, on 13 December, the programme will be expanded to include a charming village of old and rural trades. An opportunity to see the work of expert hands, showing how butter used to be made, how people used to wash laundry with cinders and how the ‘rezdore’ (ladies of the house) in their traditional clothing prepare typical Christmas dishes, like savoury stuffed Cappelletti pasta and sweet stuffed Tortél Dóls di Colorno pasta, for the delight of food lovers. An event that presents Parma filled with Christmas joy, offering a magical, unforgettable experience.